Does SRVGAL have an age and grade requirement? When do I need to sign up for the High School Division? Should I sign up for White, Blue or Red and which divisions require tryouts? My daughter is going to tryout for a red or blue team. When will my daughter find out if she made a team? My daughter is going to play in the white division. When will she find out which team she is on? What if I am interested in coaching a team? What is SRVGAL’s refund policy? What equipment does my daughter need to have? What is the parent volunteer rebate policy? How does the playoff week and All Star Day work? What other playing opportunities does SRVGAL offer? Does SRVGAL have a training facility? What do I need to think about for the safety of my player? What is the SRVGAL Game Monitor? Does SRVGAL have age and grade requirements? Yes, the SRVGAL divisions are broken out by school grades and as such players cannot play at a lower grade level than they are currently enrolled in. All girls must be enrolled in school or a high school program during the season of play. The minimum age of any girl registering must be at least 5 years of age as of the December 31st prior to the current season. The maximum age of any girl registering cannot be older than 18 years of age as of the December 31st prior to the current season. Registration for the 2019 season opens the first week of September. The red/blue divisions begin their practices on February 1 and their games begin March 11, 2019. The Pre K/K, 1st/2nd grade, High School and all the white divisions start their practices the second week of February 2019 and their games begin on March 11, 2019. The season concludes the weekend of Memorial Day Weekend on Sunday May 26, 2019. Practices will be held once during the week and once on a weekend. Practice days and locations vary from team to team and are not determined until the teams are formed. Once games start each team will have one practice time either during the week or on the weekend. Every division will have one game during the week (Monday-Thursday) at 5:30 pm and one game on Saturday with varying times. The location of games will depend on the division. All fields are located in Danville and San Ramon. To register your player click on the Red Register Now button on the home page of the SRVGAL website. Scroll down to select the appropriate division. The registration fee for our Pre K/K & 1st/2nd grade divisons is $350. The registration fee for our 3rd/5th grade, 5th/6th grade, 7th/8th grade and High School divsions is $400. Registration for PreK/K, 1st/2nd, 3rd/4th White, 5th/6th White, and 7th/8th Blue closes 12/20/18. After 12/20/18, registrations will be accepted as space is available. A $25 late fee will be added to the registration fee after 12/20/18. The final day for refunds for these divisions is 12/20/18. See our complete refund policy below. Registration for 3rd/4th Red & Blue, 5th/6th Red & Blue, and 7th/8th Red closes 10/26/18. Registrations for these divisions will be accepted until 12/2/18. A $25 late fee will be added to the registration fee after 10/26/18. The final day for refunds for these divisions is 12/02/18. See our complete refund policy below. Registration for the High School division closes 2/17/19. Additional details, including the refund policy for our High School division can be found below. All of our divisions start games at the end of March and conclude at the end of May. The White, Blue and Red divisions are for 3rd through 8th grade. All of these divisions play one game during the week and one game on a Saturday with no travel outside of the San Ramon and Danville area. The practice start dates are different for the three divisions. White practices start the beginning of March while Blue and Red practices start at the beginning of February. Therefore the Blue and Red participants do receive an extra month of practice. The White division is designed for the recreational player. To play in the White division register your daughter and let us know what grade she is in. She will be placed on a team without the need for tryouts. Each team is determined from the geographical area, school attended and parent volunteer participation. White practices start in the beginning of March. The Blue division is competitive while less so than Red. To play in the Blue division each player must attend one of our tryouts. Teams are then determined by tryouts and a coaches' draft, with no consideration given to where the player lives. Blue practices start in the beginning of February. The Red division is the most competitive level of play. To play in the Red division each player must attend one of our tryouts. Teams are then determined by tryouts and a coaches' draft, with no consideration given to where the player lives. Red practices start in the beginning of February. The girls that are drafted by a Red team will be called and notified by their coaches within 24 hours of the Red draft night. If a player was not selected in the Red draft she will automatically be placed in the pool for the Blue draft. The girls that are drafted by a Blue team will be called and notified by their coaches within 24 hours of the Blue draft night. If a player was not selected in the Blue draft she will automatically be placed on a White team. There is no tryout for the 7/8 Blue division. Teams will be formed based on historical player ratings provided by past years coaches. assignments for the 7/8 Blue teams will take place in February. All 7/8 Blue players will be notified after February 13, 2019. Players will find out after February 13 which team they are on and who the coaches are. There is a coach meeting on February 13th in which the coaches are given their team rosters. The coaches will either call or email each family personally after that night. No player may request a specific coach and no coach can request a specific player. In the younger divisions, team assignments are made according to grade, home address, and school attended. Another consideration in team formation is a player’s evaluated skills. Each player’s skill level is determined by the coaches’ ratings from the previous season. The league works hard to make teams comparable within divisions by balancing each team with a similar mix of skill levels. Players are not guaranteed a favorite coach, the perfect practice time or location, or a team full of best friends. Rather, the league’s focus is on forming teams that have an equal chance of success. Please click on the Red Register Now button on the homepage of the SRVGAL website and scroll down to the Coach Registration link to fill out a coach application. All applicants will be contacted by the appropriate age group coordinator to have a phone interview. All persons selected for coaching assignments will be required to provide personal information and permission to SRVGAL to run a comprehensive background check. The SRVGAL organization does everything possible to ensure the safety of your children. In the event you should change your mind and decide that your daughter is not going to play this season you can withdraw and request a refund before 12/02/18 for the 3rd/4th Red & Blue, 5th/6th Red & Blue, and the 7th/8th Red divisions. The final day for refunds for all other divsions is 12/20/18. The only exception is if a high school player is drafted to her local school softball team (for example SRV Wolves or Cal Grizzles). Refunds will be given to those players. A $20 processing fee will be taken from all refunds. To request a refund, send an email to our League Administrator at that includes the name of your daughter and the reason for the request. 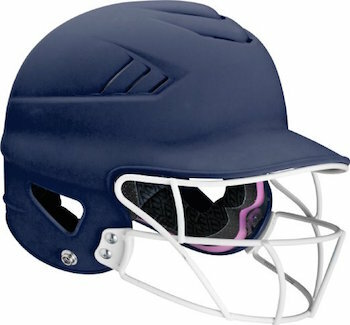 SRVGAL provides bats, balls, helmets and catcher’s equipment to each league team. Players are responsible for providing their own softball glove and cleats. No metal spikes are allowed. Soft plastic and rubber spikes are permissible. Girls in the younger age groups may play in tennis shoes. Soccer cleats are permitted. Some players prefer using their own helmet and bat. Helmets must be NOCSAE approved in order to be legal and safe. Helmets must also be equipped with a securely fastened NOCSAE certified mask or guard. Click here for picture. All equipment used, SRVGAL or player provided, must comply with USA Softball (previously ASA) regulations. Catchers must wear catcher’s helmets, batting helmets are not allowed. Players will be issued a SRVGAL jersey that is theirs to keep when the season ends. This jersey must be worn in all official league games. The coach for each team will determine what the players will wear to complete the uniform. To receive a $50 rebate there are a variety of volunteer activities that may be performed during the season. These include but are not limited to team parent, field prep, tryout day help and All Star day help. Once the volunteer activity has been completed the Volunteer Rebate Form must be properly filled out, signed and returned to SRVGAL. Only one rebate per SRVGAL player will be issued. Payments will be processed and mailed on three dates during and after the season. More details regarding this policy, including eligible jobs and submission deadlines can be found on the rebate submission form. The Volunteer Rebate Form can be found in the Forms section of the SRVGAL website. Every Coach, Assistant Coach, & Board Member are eligible for a $150 rebate at the end of the season. The $150 rebate will be processed automatically by the League Administrator. No paperwork is required. Picture day is Sunday, April 14, 2019. All the divisions starting in 3rd grade and older are involved in the playoff week. The Pre K/K and 1st/2nd grade divisions will have games up until May 19, 2019 with no playoff structure in place. The playoffs will run from Monday, May 22, 2019 thru Friday May 24, 2019. Championship games will be played on Saturday, May 25, 2019 and All Star Day is Sunday, May 26, 2019. All game times and days will be determined towards the end of the season. If your daughter loves the game and wants to improve her skill level Future Stars can help. This is a paid program that focuses on the fundamentals of the game. There are two practices a week along with occasional hitting time in the SRVGAL Academy. Each session is taught by experienced coaches with the goal of pushing each player to their maximum potential. It is for young players from 7 to 10 years of age. Look for emails for registration information. Stompers and Valley Stompers are SRVGAL’s travel ball teams. Players typically come from the blue and red divisions. Stomper tryouts for the summer will happen in April. Girls wishing to play year round travel ball can tryout for our Valley Stomper program. Visit our website for more details concerning the travel ball program. The SRVGAL Academy is the training home of SRVGAL and the Stompers and Valley Stompers Travel Programs. SRVGAL Academy instructors are already working with both individuals and teams to help make their game better. If you are interested in exploring the possibilities of making your game better, contact us at . Eyeglasses: Players who wear eyeglasses must wear glasses that are safe. Lenses must be unbreakable and frames must be unbreakable plastic or sturdy metal. Thin wire framed glasses may not be worn. Contacts are permitted. Face/Mouth Guards: Players may wear approved face or mouth guards to protect themselves while playing in the field. Injuries: Players wearing orthopedic casts, braces (metal, carbon fiber, hard plastic and like devices) or splints (air or metal) shall not be eligible to participate in any game, practice, tryout or training session. Jewelry: No jewelry may be worn while participating in any game that, in the judgment of the umpire, constitutes a safety hazard to either the player wearing the jewelry or any other player. SRVGAL requires a Game Monitor (GM) at every game to handle any issues related to any negative behavior that may arise. The SRVGAL Game Monitor Policy was instituted in the 2018 season in order to ensure that all games are conducted in a positive environment. Click here for a description of the policy and complete listing of the Game Monitor’s responsibilities.